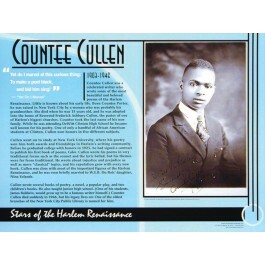 This educational poster features a large photo image and biographical text of the great African American poet Countee Cullen. The poster also contains a quote from one of his poems that says: "Yet do I marvel at this curious thing: To make a poet black, and bid him sing!" 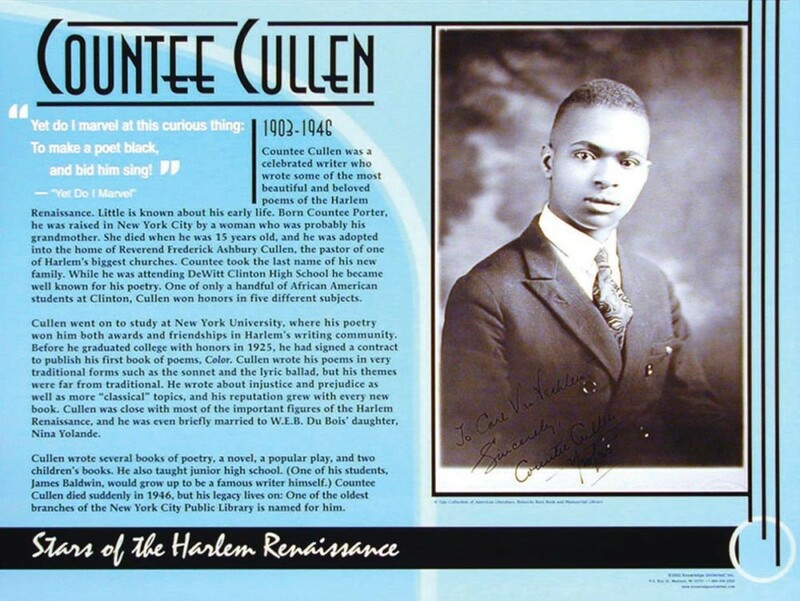 Countee Cullen achieved success early in life. He signed a contract to publish his first book of poems before he graduated college in 1925. This poster is a great way to introduce students to one of the most beloved and talented poets of the Harlem Renaissance.